Credited by the New York Times, as a 'Londoner to know', Laura Weir is the editor-in-chief of London Evening Standard's weekly, ES magazine. She also writes a weekly column for the newspaper, her topics include London life, raising a young child, and never wanting to miss out on anything that life has to offer. the column garners millions of readers, and Laura also hosts a weekly podcast. 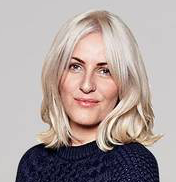 She has written for a huge range of national and international consumer and trade titles, and formerly held senior roles at British Vogue and The Sunday Times. Laura hold s a position on the British Fashion Council's Press Committee and is the co-founder of wearemoody.com, an online platform dedicated to women's mental health and wellbeing.